Online access to Supplemental Materials is included with your purchase. "...comes packed with exercises, bibliographical references, and tips on understanding procedures and applying them to plant management." "...perfect for college-level biology courses." Exercises in Plant Disease Epidemiology, Second Edition provides a wide range of exercises to help users learn and practice the latest, most advanced methods for determining the spread and control of plant diseases. 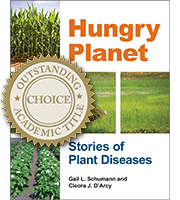 Research and extension scientists will use the book to get up to speed quickly and the exercises featured in the book will offer various levels of difficulty to challenge graduate students and postdoctoral scientists. This highly practical, educational title offers a structured approach ideal for both classroom instruction and self-study. Each exercise has a common format with an emphasis on procedure and evaluation. In addition to the print content of the book, users can go to a special online portal for hands-on engagement in statistical and quantitative exercises. This allows instructors to employ a mix-and-match approach to their classes and the self-taught user to brush up on the latest theory and practices at his or her own pace online as needed. 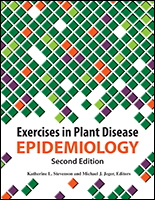 Exercises in Plant Disease Epidemiology, Second Edition comprises 33 chapters edited by Katherine L. Stevenson and Michael J. Jeger, who have more than 60 years combined experience on research and teaching in plant disease epidemiology. Each chapter was written individually by authors who are authorities on their respective topics. 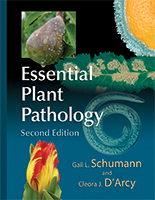 Exercises in Plant Disease Epidemiology, Second Edition provides basic topical background information of each exercise together with suggestions for further reading. This information, along with classroom instruction, will make possible the practical implementation of the exercises and help build confidence and benefit the individuals concerned. All exercises are supported by software that is either public domain or commonly available commercially, allowing greater accessibility for students and users overall. For further aid to accessibility, the book’s Appendix includes information on all the commonly used software. 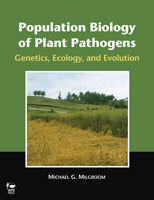 This second-edition title is a revision of the original Exercises in Plant Disease Epidemiology published by APS PRESS in 1997. 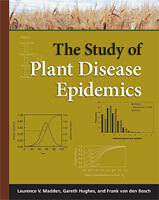 It represents the new perspectives and significant methodological advances in statistical computation, quantitative analysis, and mathematical modelling of plant disease epidemics since publication of the first edition. Exercises in Plant Disease Epidemiology, Second Edition is a unique, up-to-date manual for working through topics in plant disease epidemiology with practical exercise. It is ideal for course instructors in plant disease epidemiology, graduate students in plant pathology, extension specialists, plant health practitioners, and research scientists in plant pathology-related areas. 1. The instructor has purchased a personal copy of the book from APS PRESS. 2. The library at the institution at which the instructor teaches has purchased a copy of the book from APS PRESS for its collection. If both criteria have been met, the instructor may photocopy parts of the book for distribution to his or her students. The instructor may also advise students that they may freely use the online materials developed for the book. An instructor who would like to require the book for a course and to secure a discounted student rate for printed copies of the book should contact APS PRESS.